Here, I will post the news in this planet named Forums. Apply here for your own group that you can add people to and that can be either private or public. You ask, everyone answer. Formerly Ask Shab and Boomer. If you are new here or quiting, post here to introduce in the forums! Our mods have lives. Except meh. Here, you can join and be helped by the soldiers to be a great ACP soldier. Discuss about themes of the ACP with other ACP soldiers. It's time to WAR! Plan some meeting or war right here. Discuss the ACP Ranks and Divisions here! Think we should have something we already don't? Discuss about other armies here. 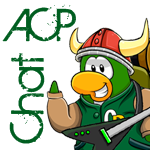 You can discuss new CP updates or everything about Club Penguin. The perfect place to reveal the CP secrets. New Pin, clothing catalog secrets. NOTE: Do not go if you don't want that the surprise can't be ruined for ya. Do you have some talent drawing penguins or writing stories about penguins? Post them here! 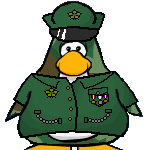 Have you seen any weird glitch in Club Penguin? Post it here. Throw a party with all your friends and have a fun time in this forum! If you want to film your own Club Penguin movie or music video, use this cool forum to arrange actors and other stuff. Share your ideas with other people and see what does people think about it! Talk about everything without an appropiate forum (AKA Everything). Discuss your favorite shows in this TV-forum! Teh place of ze Techno-ology! Android, iOS, Windows 7, geez, what's up with these little brains in mah pocket? Discuss your favorite sports or some important sport event here. .
Who died? Do you have a hard quiz in school? Are you depressed? Everything related with your life can be discussed here. Haw haw I haz a PC. Post games and make so many pointless games like I ban people. Some kind of event might be held here someday. The Forums in the Basket.